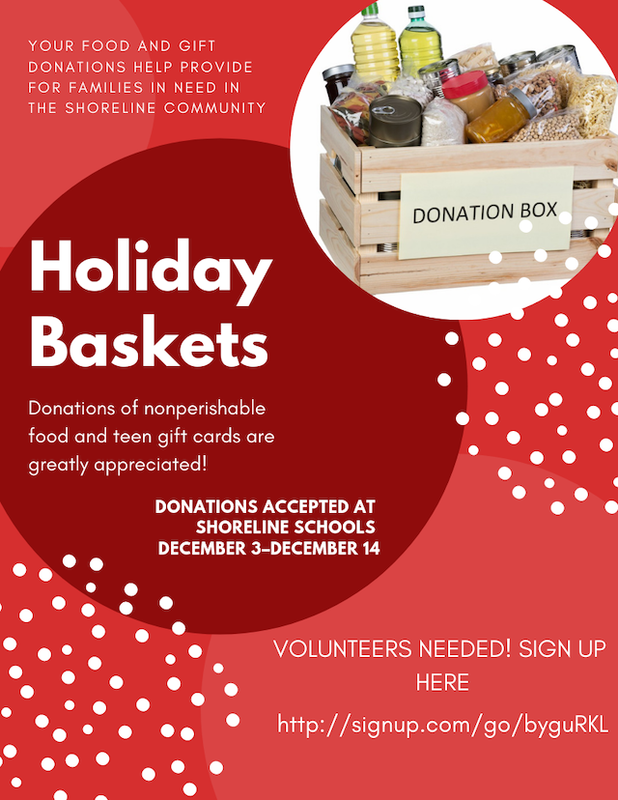 Donations accepted at Shoreline Schools December 3 - December 14 of non-perishable foods and gift cards for teens. Volunteers are also needed. Sign up here.